Inside baseball on this week’s Moyers and Company that interests few but affects most. Bill’s guests were Robert Royal, editor of The Catholic Thing and founder of the Faith and Reason Institute (a tautology since reason assumes faith for the sake of consistency and cohesiveness though Kant argues we are hard wired that way! ), and Sister Simone Campbell of NETWORK (and the Nuns on the Bus). Context was provided by a mini documentary of the Nuns on the Bus protest of the “Ryan Budget”. For Americans this should have relevance since the Vice President is of the Roman Catholic persuasion (now, and to come). Who notices? Royal and Campbell both agreed that something is wrong, very wrong, and that the entire problem is complex, and huge. They even dared considering it as a global (and not purely American) phenomenon (Gasp! Who’d a thunk it?). What problem you ask? The growing income disparity and gap between incredible wealth and lack. According to Sister Simone 40% of Americans require some kind of gov’t assistance to continue to function (such as food stamps, children’s programs, disability assistance, etc.). This would be in keeping with the oft repeated statistics that over 40% of Americans have no net worth. She claimed this as “corporate subsidy” (allowing business to avoid any obligation or responsibility for the health and well-being of the workers it relies on to generate a profit- both through productivity as well as consumption). This was a pretty radical statement to make. Hence, the immorality of the Ryan budget since it would hurt those in need while enabling the wealthiest (without the trappings of a bailout). According to Robert, this IS the problem. US poorest of the poor are better off than the poor in other parts of the globe and continued assistance has to be paid for by someone. The structure currently in place to pay for such is immoral- taking the earnings from where the wealth is and burdening the future generation with debt (there’s that Catholic thing again). To follow all the byzantine convolutions of the two arguments, tune in. But who notices? What was very noticeable was the agreement of the two but the disagreement of the two that… Here’s where the thought gets complicated. Campbell immediately wanted to cut to the chase since, being a nun and all, the religious solution made perfect sense to her. We should have solidarity with our fellows and future generations in addressing the problem at hand, etc. Robert said this cannot be without abandoning the free market (and capitalism) that created this unique and wonderful country. And there’s the rub. Royal puts more faith in capitalism, as grounds for action and policy, than he does in his espoused religious faith (Christianity). He recognized no dichotomy in such a position, assuming it to be perfectly natural, and reasonable (why he founded the Faith and Reason Institute, I guess). After what we learned with Bruno Latour’s Iconoclast, his position is no surprise (the Reformation being as much about capitalism and bourgeois burghers as it was about corrupt religious practices and beliefs). The immediate agreement of the two with regard the nature and characteristic of “the problem” along with their polarity in regard any proposed solution highlighted the “unreasonableness” of his position- the dichotomy of the Christian faith and the Enlightenment foundation of capitalism. In solving a problem, all options must be considered. Insisting on the sanctity of specific bovines can be counterproductive in achieving a solution. If an MD doesn’t know the complete history of a patient (something is withheld by the patient as being “private”), if a mechanic isn’t allowed to assume the gasoline is bad, or a technician that the data provider may be awry, solving the problem becomes more and more difficult, if not impossible. Political economies all have their inconsistency. If that can’t be admitted, the problem only continues. The threat of a growing deficit may be what Royal focuses on, given his faith in the market, but a growing human resource deficit of a nation increasingly reliant on a working poor is what alarms Sister Simone. What was that line about serving God and mammon? Imagine: High above a downtown parking lot, we build an overhead urban garden with green house and solar panels to generate electricity. Not only will we have electric power for our restaurant next door (and a saleable surplus ), but we will be able to grow much of the produce consumed there, starting earlier and having produce later into the season (maybe even year round). The work involved with the solar panel installation will educate apprentice technicians in green energy; folks in need of jobs and a marketable practice. The green house/urban farm will employ those within the city who can’t find work or lack a work history to land that first “real” job. Below, in the open parking lot space will be the weekly farmers’ market where the surplus from above along with that of other local producers will be made available to the folks who dwell in town. All this in a small town where property rental is one of the largest industries, but employs the least number of inhabitants. 40% of the residencies are non-owner occupant and the downtown business district is in need of “revitalization”- landlords sitting on outdated “investments” badly in need of upgrading (or demolition), currently vacant, and overpriced. 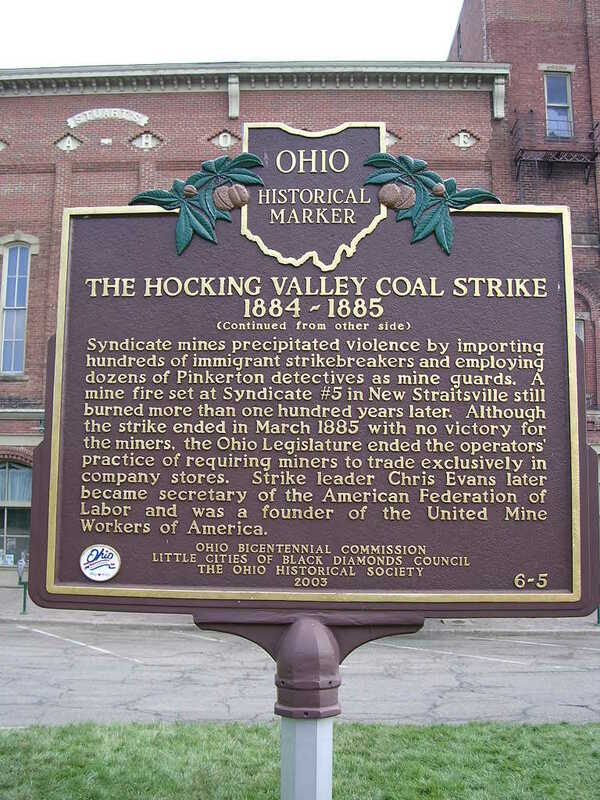 Downtowns of this description are repeated throughout the American mid west. Pretty incredible solution, huh? “Well, we’ve got to do something!” “People have a great need and the political process is at a stalemate.” So the “creative alternative” is to forge ahead through non-profits, church groups and “gov’t grants” to form real concrete avenues of hope. Amazingly enough, the rationale for such endeavors parallels the survivalist strategies that motivate many to form compounds, stock pile guns and food, and close the gates on the outside world. How so, you say? In a lecture at Denison University (archives 3-4-2010 Well, Who Ya Makin’ Art For?) Professor Rajani K. Kanth likened recession to money going on strike. OK, OK, so those in the know say the recession is over, only in this case the names have been changed to protect the guilty. Repeatedly it has been reported that American businesses and worldwide corporations are sitting on a mountain of cash, but won’t invest until the economic environment stabilizes and the atmosphere clears. Jamie Dimon loses 5-7 billion at Chase and everyone says it is no big deal for them. Kanth was right. Money wants more before it will go back to work and earn a higher rate of return. Barclays tries to make more with Libor manipulation. Another way to get more if you are sitting on a big pile of money is to tell those already in your employ to work for less. If they refuse, they are out of work. Who do you think will last longer? 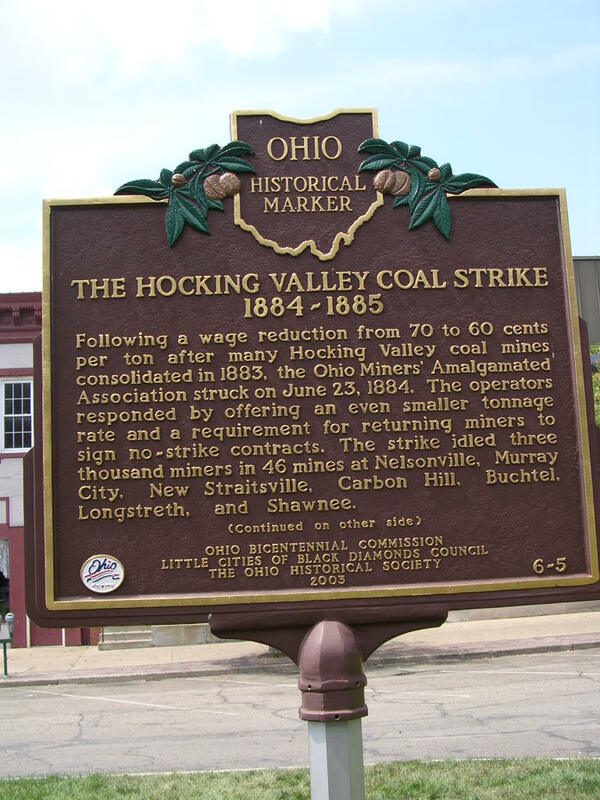 The historic marker in downtown Nelsonville Ohio confirms that approach, the recent events at the Lonmin PLC mine in South Africa make it current once again. A variation of this strategy is filing for bankruptcy in order to escape the liability of some environmental catastrophe, or contractual labor pay/pension obligations (Union Carbide springs to mind, but American Airlines is the current manifestation). Today one finds many entrepreneurial/social endeavors in urban farming. Is this just a variation on a form of finding a way to hold out while money is on strike? Or is it just more hard scrabble farming where what you produce is never enough and the “real” jobs and money are always somewhere else? Analogous to the survivalists, is this not, once again, the formation of a “sub” class of humans building a sub culture of its own outside (but within) the mainstream? Something akin to becoming Amish? “When the space of a lapsus no longer carries any meaning (or interpretation), then only is one sure that one is in the unconscious. One knows. But one has only to be aware of the fact to find oneself outside it. There is no friendship there, in that space that supports this unconscious. All I can do is tell the truth. No, that isn’t so – I have missed it. There is no truth that, in passing through awareness, does not lie. The last few posts of this blog have been following a thread, the thread of politics “as an apparatus that imagines reality.” Finds us back with Lacan, his fundamentals and the unconscious, doesn’t it (the imaginary, the symbolic, and the real)? The imagined reality of today’s US presidential race swirls around the eye of economics, the one shown at the pinnacle of the pyramid on the back of the US dollar. This eye sees and discerns. It knows. This gaze dominates. One party in particular employs it much as an Ockham’s razor, a determinant of what is acceptable, and worthy of participation in the governance of our country. In a sense, it creates a truly American version of apartheid. An apartheid that says “Economics is all there is. Either you embrace this, or you are an other, not one of those who determine our governance.” It is not a Rancierean type of politics for it is not about admission or recognition, but only allegiance. You cannot gain admission to the economics, you can only be part of the economics. And it is an apartheid economics. Although the value of the vice presidency has been compared with that of a bucket of warm spit, today’s announcement of Paul Ryan as a vice presidential candidate has verified the existence and place of the new Afrikaners in the US.